"The Mt. Carmel Missionary Baptist Church is a body of baptized believers committed to the cause of Christ and willing to serve this present age with the methods of ministry that will edify the church and glorify Christ: We at Mt. Carmel believe and support the concept of family as described in our "Sacred Faith Text" THE BIBLE. We hold evident that based on our "Sacred Faith Text" that the family commences with marriage and that marriage is defined by God in our "faith text" as the uniting of one man with one woman." 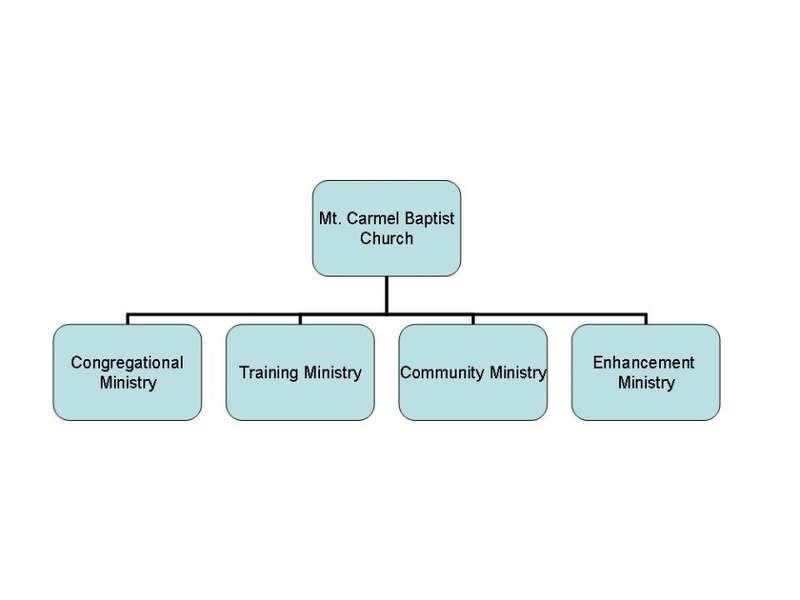 Congregational Ministry: Ministries provided for the members of the Mt. Carmel Missionary Baptist Church. Training Ministry: Ministries that will enable Christians to grow in their faith and prepare them for places of potential leadership. Community Ministry: Ministries provided for the community at large to meet basic needs. Enhancement Ministry: Ministries that provide skills and methodologies for individual and relational development.